Security cameras are a great way to provide security for your home. As well as providing you with video footage of any events which may happen, they also act as a visible deterrent to criminals. 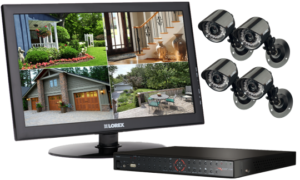 Purchase a single home security camera or choose expandable, multi-camera kits. Some cameras include the ability to monitor live video over the internet from any web-connected device. Indoor/outdoor, Nightvision, weather-resistant, and motion-activated models are available. Whatever you’re looking to protect, Eastern Telephone & Technologies offers the best selection of home surveillance systems.